Andrea Bates (née Bartok) was born in Budapest, Hungary, educated in Paris and Montreal, studied art at the Academy of Fine Arts in Vienna and now lives with her husband in North Oxfordshire, where she has her studio. 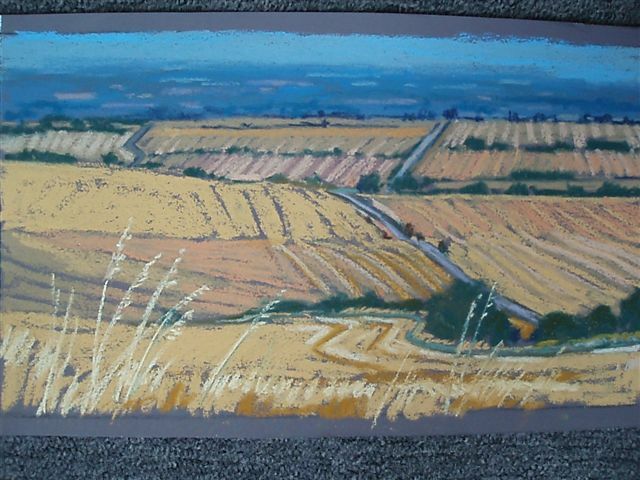 Member of the Oxford Art Society, Fosseway Artists and other groups, she has had over 30 one-woman shows to date, and has had work exhibited by the Royal Institute of Oil Painters and the Pastel Society, in the Mall Galleries in London. Andrea is a regular participant in Oxford Art weeks (the annual Oxfordshire Visual Arts Festival) since in 1985: each year, she opens her two-storey converted barn gallery to the public for a fortnight in May. Her work can be found in private collections in this country, North America, Switzerland, France and Germany. She is now listed in the “Whose Who in Art”. Preferred media are pastels and oils. Since 1994 she has brought out a range of limited edition prints depicting gardens, flowers and landscapes. More recently, she has brought out 3 new giclée prints of vivid autumn scenes, one depicting 3 cockerels, entitled “The Three Tenors” ,one of Spelsbury , one of Port Meadow, Oxford and one of Enstone in Autumn.